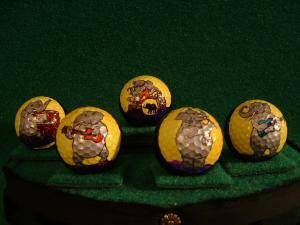 Here are some examples of character golf balls and your own copy of these can be ordered. You are also encouraged to submit your own idea and the artist will create a ball just for you with the same level of detail at no extra cost. See the price list for details.